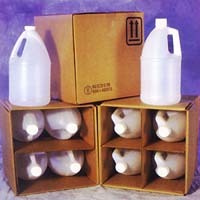 Stabilized Hydrogen Peroxide 20% - For the professional carpet cleaner. Removes stains, spots, and discoloration from carpets and upholstery. For PROFESSIONALS ONLY. Clear fuming liquid. Light chemical fragrance. Protective clothing and gloves are mandatory. Stable will not degrade.